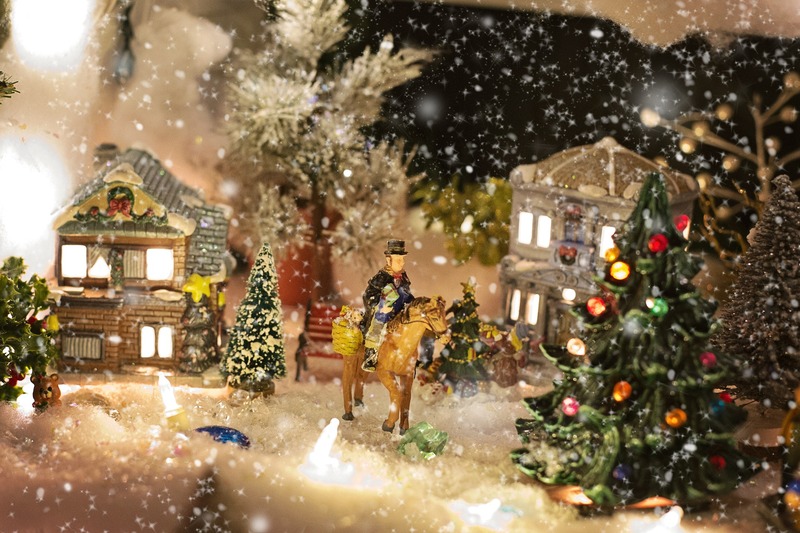 Whether you are the type to start singing Christmas carols and buying gifts in early October or you are more of a Grinch pretending that this jolly season isn’t happening, you can’t avoid the fact that Christmas time is nearly upon us. With the lights across London switching on and glorious window displays being revealed, the city is now in full festive swing. Luckily for us, you don’t have to go far. East London is full of venues, businesses and amazing people making sure we make the most of our Christmas experience, without having to travel far from our homes during the busiest time of the year. To save you time and help you choose from the best, we’re introducing a guide to the best Christmas events in East London. Along with many other festive events, Genesis is hosting a special screening of Frank Capra’s classic It’s a Wonderful Life accompanied by free mulled wine and minced pies. The screening is for one night only – a festive treat to get you into the holiday spirit. 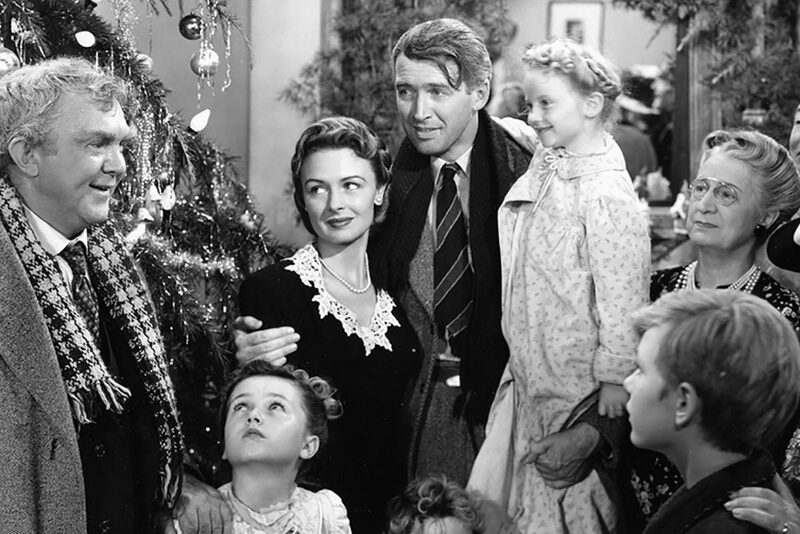 For those who are not familiar with the movie, It’s a Wonderful Life tells a story of George Bailey – a desperately frustrated businessman who feels unfulfilled and unappreciated and is considering ending it all. As the angels discuss George, we see his life in flashbacks. As George is about to jump from a bridge, he ends up rescuing his guardian angel Clarence, who then shows George what his town would have looked like if it hadn’t been for all his good deeds over the years. This Frank Capra production featuring James Stewart is a black and white drama/fantasy movie originally made in 1946. The event takes place at Genesis Cinema on December 9th at 3.10pm. To book a ticket, visit Genesis Cinema website. 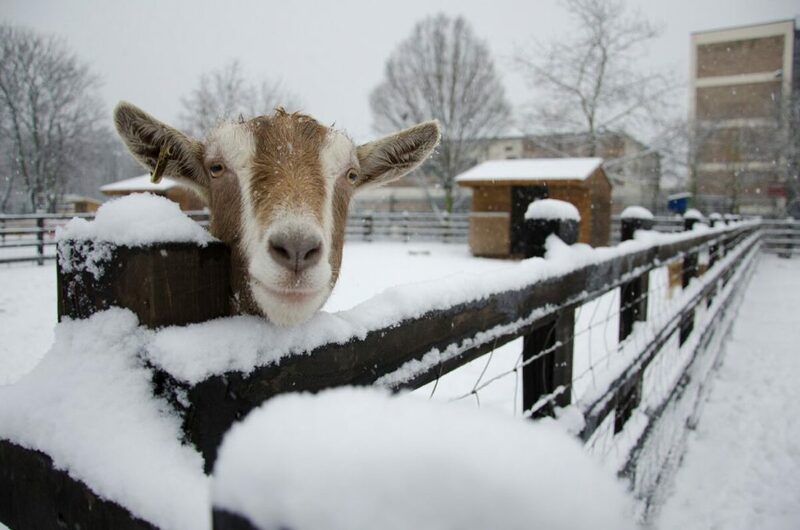 Stepney City Farm is hosting a Christmas market full of seasonal fun including 25 stalls full of food, drink, home-made gifts, craft and live music. This is a great opportunity cuddle with animals like goats, sheep, cats and other farm furies and learn more about the farm. 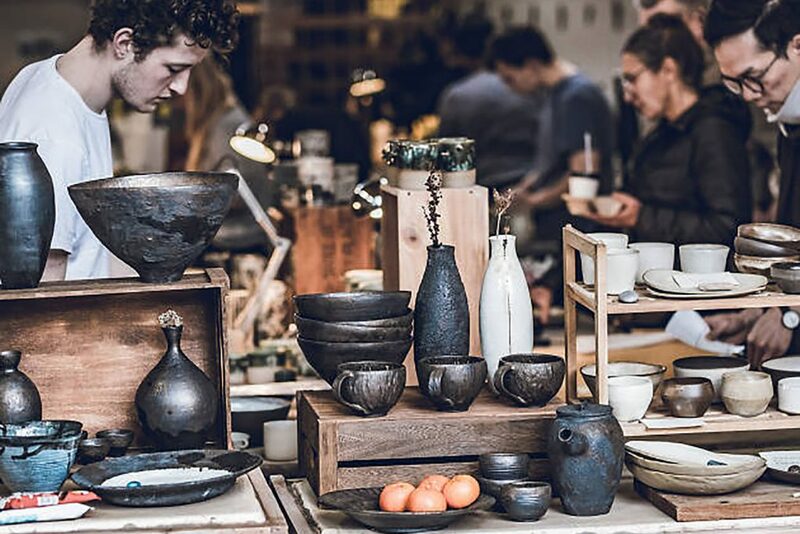 You can complete your Christmas shopping list and stock up on unique items ranging from home accessories, kitchen utensils and home-made food products at 25 stalls while snacking on delicious seasonal breakfast and afternoon bites from celebrity chef Ben Tish. Also on the programme are carol singers and practice sessions, live jazz band and a special appearance by Santa and his little helpers. All proceeds will go directly toward supporting the Farm’s charitable activities, and helping to keep the Farm free and open to all. The event takes place on Saturday December 8th 2018 at Stepney City Farm and runs from 10am to 5pm. For more information about the event, you can visit Stepney City Farm’s official website. 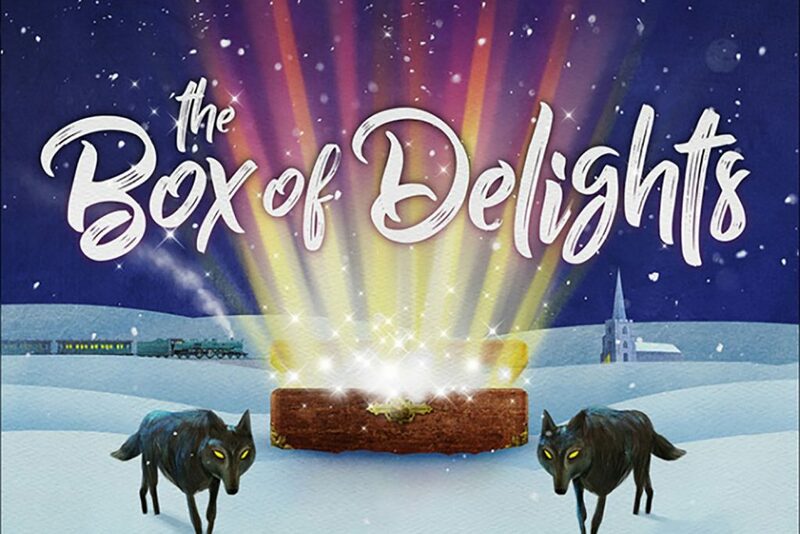 The Box of Delights returns to Wilton’s Music Hall for the second year running with a festive show for the whole family. The show is based on the much–loved and critically acclaimed festive children’s classic by Poet Laureate John Masefield. You can now experience the wonder of Masefield’s world for yourself, from flying cars to fiery phoenixes. The show tells a story of two wizards who decide to compete in inventing the most magical power ever seen. After a year, one of them Ramon returns with an elixir, which would grant the drinker eternal life. But then Arnold reveals his invention – the box of delights. Arnold disappears with the box before Ramon has a chance to respond and now, centuries later, a boy on a train travelling home for the holidays, is about to be drawn into an ancient magical struggle, that will see him fighting not just for his life, but to save Christmas itself. This is a magical show full of performances perfect for both children and adults. For information about the tickets visit the Wilton’s Hall official website. The Greatest Snowman is a theatrical dining experience recreating a mysterious winter journey to Birmingham Christmas market. 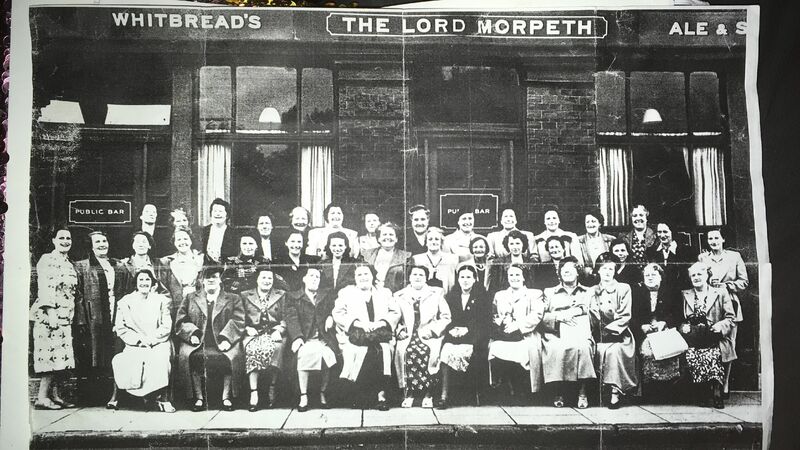 The dinner will be taking place on board of a train at a disused Pedley Street Station near Bethnal Green and Shoreditch. The station used to serve the East London Line which closed in 2007 and new overground station – Shoreditch High Street was built instead. This is a opportunity to explore a disused train platform and enjoy a wintery dining experience with mysterious show. You’ll be served a four course dinner, with menu curated by 2017 MasterChef: The Professionals Finalist 2017 Louisa Ellis. Prices start at £56 pp. For more info visit the Pedley Street website. 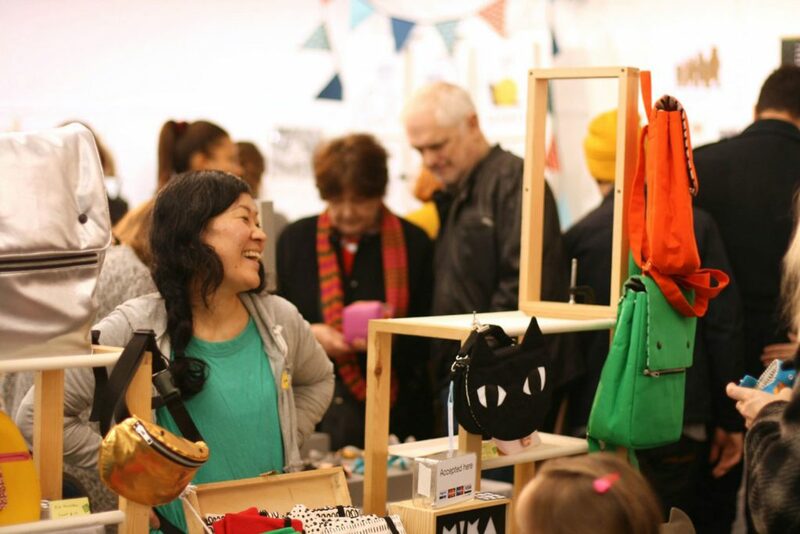 Urban Makers are returning to the Eco Pavilion, with a two-day Christmas market on December 8th and 9th. The festive market will showcase 50 designer makers each day, offering an enormous variety of hand-made products such as jewellery, homeware, gardening tools, clothing, accessories, postcards, cosmetics and kitchen utensils. It will be a good opportunity to do some Christmas shopping for your family and friends and support artists and makers from East London. With workshops for adults and children, face-painting, hot dishes and drinks, this is a good day out for all the family. Some of the confirmed makers who will be trading at Urban Makers include 20 Seventh Letter, Vi Ceramics, Koco Kids, Finesse Knits, Dickens Ink and LIHA Beauty. You can expect a beautifully decorated hall with Christmas music and flickering lights, colourful stalls and a festive atmosphere that is sure to put you into the holiday spirit. Entry is free and everyone is welcome. If you’d like to see the line up, visit the Urban Makers website. 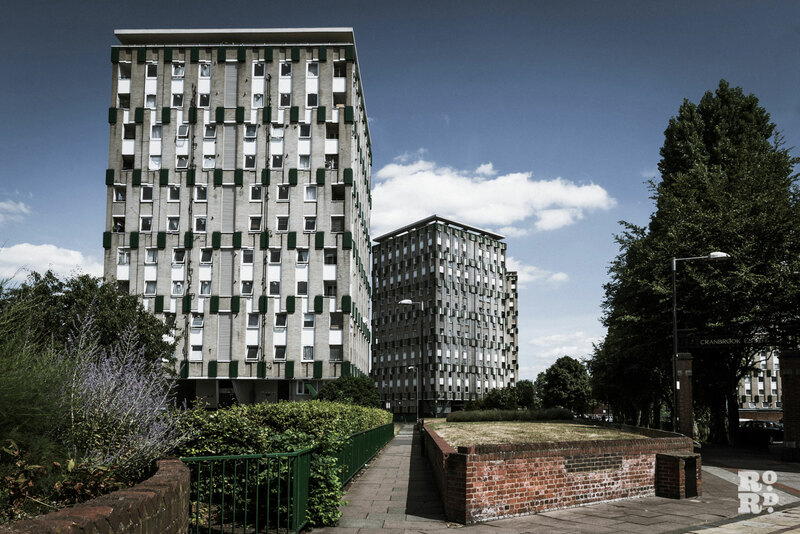 Now in its fourth year, what was once an off-the-beaten track event involving a handful of budding artists has now become a beloved institution for the East End’s community of design-lovers. You can pick up hand-made festive gifts while also supporting young talents and unique artists, enjoy live music from a band The Turbans and knock back Christmasy drinks and artisan coffee. Sri Lankan street food provided by Pavilion Cafe will also be on offer, while donating the proceeds to charity. You can also look forward to seeing Big Sky Studios opening its doors to showcase the work of Turning Earth community of graduates. All electricity used to fire the kilns at Turning Earth now comes from renewable sources. The studios will encourage shoppers to play their part by asking people to bring in their old bubble wrap and newspaper to be used as packaging in order to eliminate plastic waste. The ceramics fair takes place from November 24th to November 25th, 12pm to 6pm and the entry is free. To mark the Christmas season and for the first time ever the Jewish Hanukkah, Hackney will light up the trees and lights across the borough. Visitors can expect to see a specially made 12ft menorah which will be lit at sunset during the ceremony to mark the Jewish holiday, and will remain lit for eight days. Festive activities and live music will follow and there will be food and drink stalls selling hot chocolate and mulled wine to keep you warm. Later in the evening panto characters from Hackney Empire’s Aladdin will join the Speaker of Hackney Clare Potter, to turn on the Christmas lights. There will be a sing-a-long to festive tunes, a steel pan band and a lantern display created by elders at St Joseph’s Hospice. 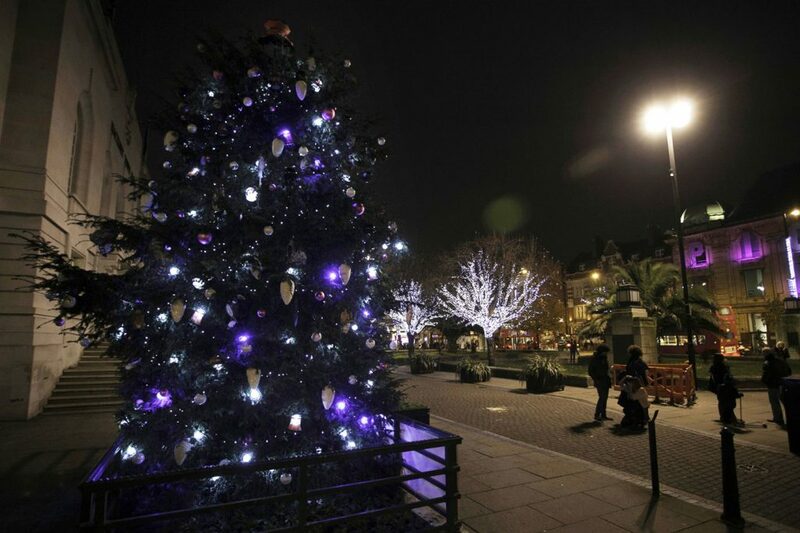 Christmas lights will be unveiled across the borough including local markets like Ridley Road. 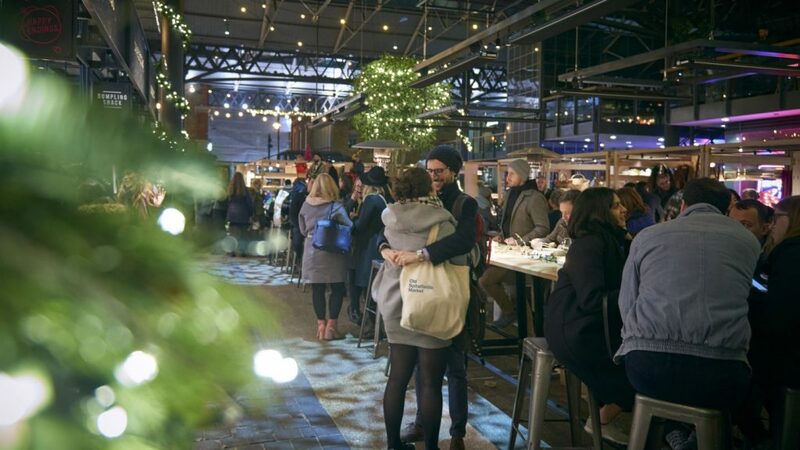 Old Spitalfields Market will be hosting late night shopping events for the first time ever. The events will launch with the market’s Christmas lights being switched on for the first time in history on Wednesday November 28th. If you never have time to stop by the market during the day, this is your chance to explore the stalls and atmosphere after working hours. You will be able to shop from a wide range of pop-up designer-maker stalls brought to you by The Good Market and Mother Maker. Feast on festive specials at The Kitchens and enjoy music from the gospel choir and explore workshops such as wreath making from Rebel Rebel, gift wrapping and, of course, mulled wine and mince pies. 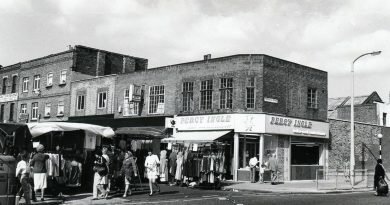 Other late-night events include an Antiques Market every Thursday with over 80 stalls of vintage art, maps, furniture, home-wares, jewellery and fashion. The launch takes place on November 28th from 5pm to 8pm. 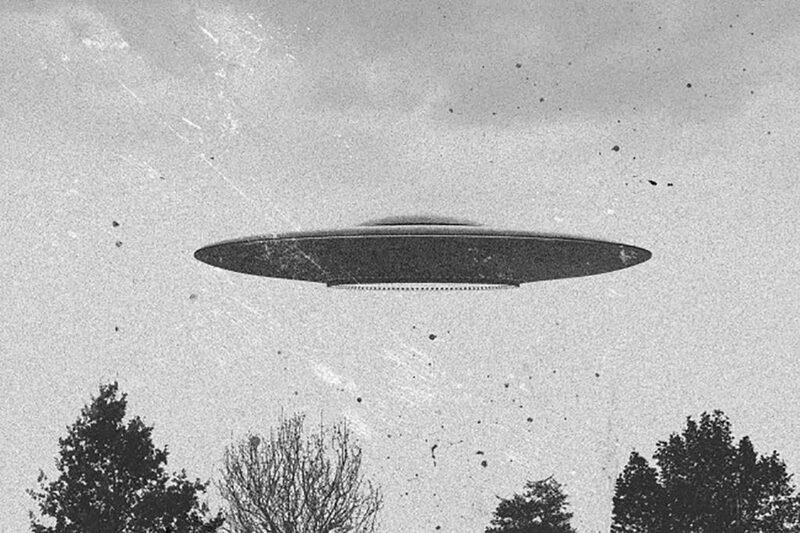 For a unique and equally strange Christmas experience, join London Fortean Society for an afternoon of talks, book sales, pizza and beer to mark the darkening days before Christmas. Some of the speakers will include David Clarke – In the Eye of the Beholder: UFO Artwork who will look at the myriad ways in which people have depicted strange phenomena in the sky, from the earliest times to the drawings, paintings and other artwork that was submitted to the former Ministry of Defence UFO desk that closed in 2009 and Richard MacLean Smith of the Unexplained Podcast, whose podcast has been described by the Guardian as the ‘spookiest ever’. Other speakers include Susan Owens – The Appearance of Ghosts, John Cussans – UnDead Uprising, Thomas Morris – The Case of the Exploding Teeth. If you’re a fan of everything spooky, whether it being terrestrial objects, ghosts, strange medicine and voodoo dolls, this is an event for you. Find out more information at the Backyard Comedy Club website. Join Roman Road Trust for a Winter Warmer on Saturday 15th December. 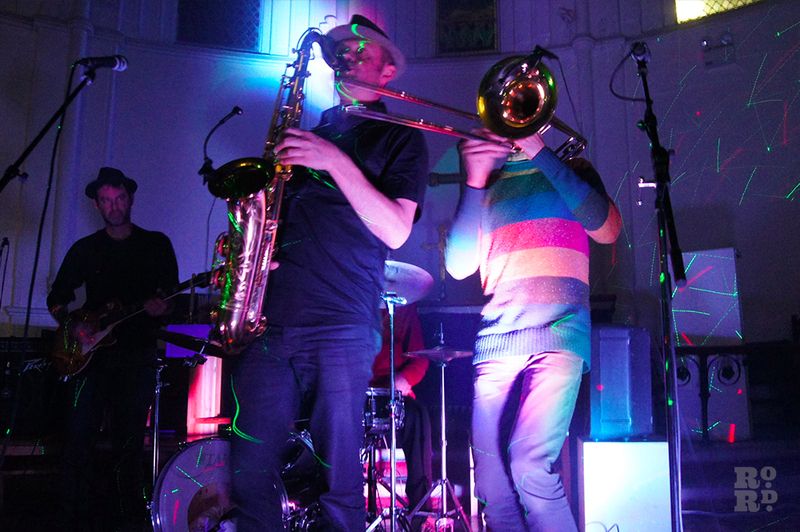 The evening will feature live music and delicious festive snacks and drinks from St Paul’s Cafe. Acts will include, Sula Mae – a pop artist that appeared at many Sofar Sounds events, VanityAct, and Hornman – homegrown, East London, Alt-Pop brain-child of Carl Davies and Laurence Hill. Their distinct and original sound draws influences from Pop, Indie-Rock, House, Funk and Ska (basically everything). DJ Twin Tub will also be playing between performances to keep the party going. 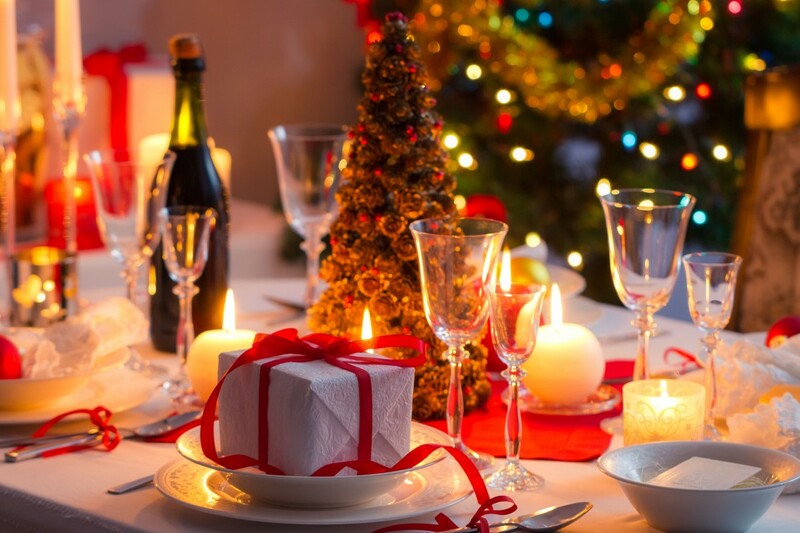 The evening is a perfect way of celebrating Christmas with your family, friends and the local community. Kids go for free and adult tickets are priced at £3. Book your tickets via Ticket Source. 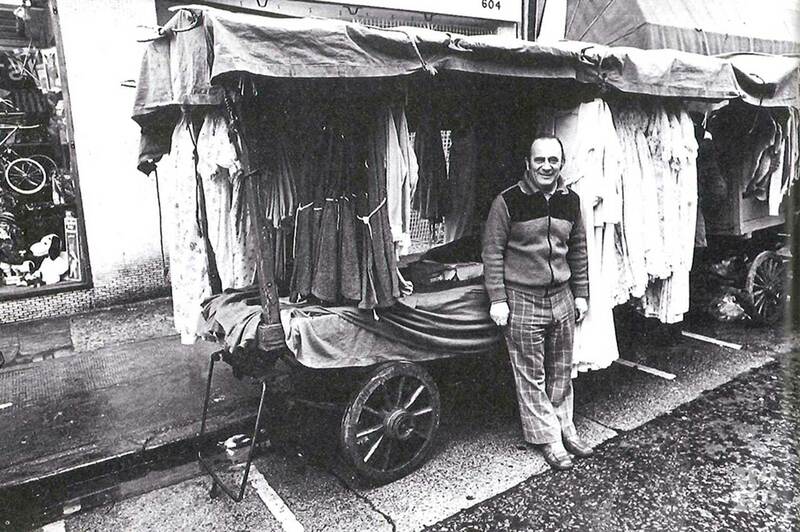 Columbia Road famous for its flower market is fast becoming known for its annual late night Christmas events too. Every Wednesday evening up until December 19, the cobbled street lined with independent shops and Victorian street lamps will open to visitors looking for a late night shopping experience. 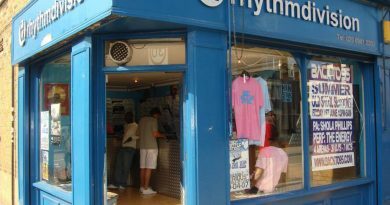 With shops staying open until 9pm and all brimming with unique gifts, there isn’t a better place to stock up on Christmas presents this winter. After the shopping, get cosy with a drink in one of the nearby pubs and watch people shuffle through London’s streets full of flickering Christmas lights and decorations. Every Wednesday until December 19, 5pm till 9pm. Join members of the East End Trades Guild at Old Spitalfields Market on 1 December for EETG Christmas Take Over. The event will include independent-makers stalls, food and festive drinks. 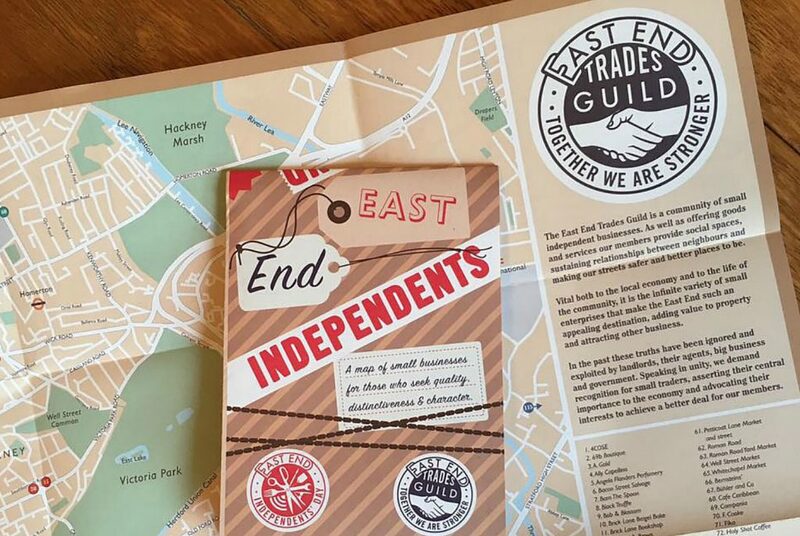 You can pick up your free East End Independents Map- hot off the press and enjoy a performance from the Wing-It Singers at 1.30 pm before kicking back with mulled wine and some festive baked goodies. The market will be full of distinctive, fun and quality Christmas gifts from Tatty Devine, the Duke of Uke, Artisans & Adventurers, the London Bike Kitchen, Outdoor People and more. 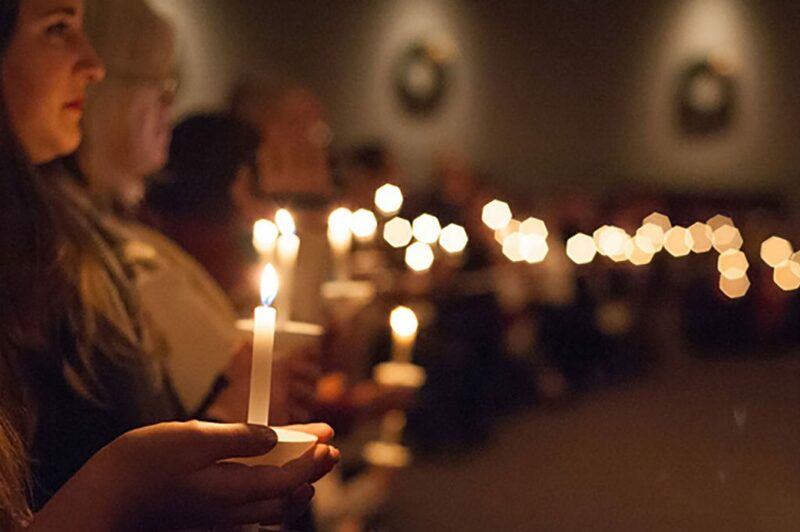 The Sunday service at St Paul Old Ford’s Church will be presented in the spirit of Christmas. You can expect to hear and sing Christmas carols and help yourself to mulled wine and minced pies after the service. The church will be candle-lit and decorated, creating a unique and friendly atmosphere for the local community. The service starts at 4pm. Please R.S.V.P to hello@stpauloldford.com or call 020 8981 4655. If you need to keep your children occupied during the winter holidays, you should definitely take them to the Museum of Childhood in Bethnal Green. Not only they can see some really old school toys and books, they can also watch a movie and participate in pirate-themed craft activities. 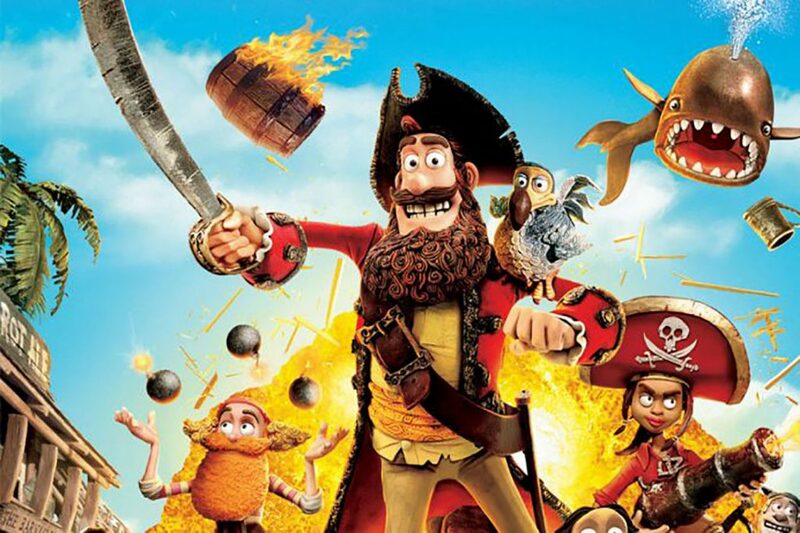 The movie theme for this year is pirates and their representation in popular culture, which goes together with the museum’s current exhibition. What would a Christmas be without fancy dress parties and days and nights full of festive cheer in the presence of friends and good food. This unique celebration combines the three key elements to a good party: music, food and entertainment. 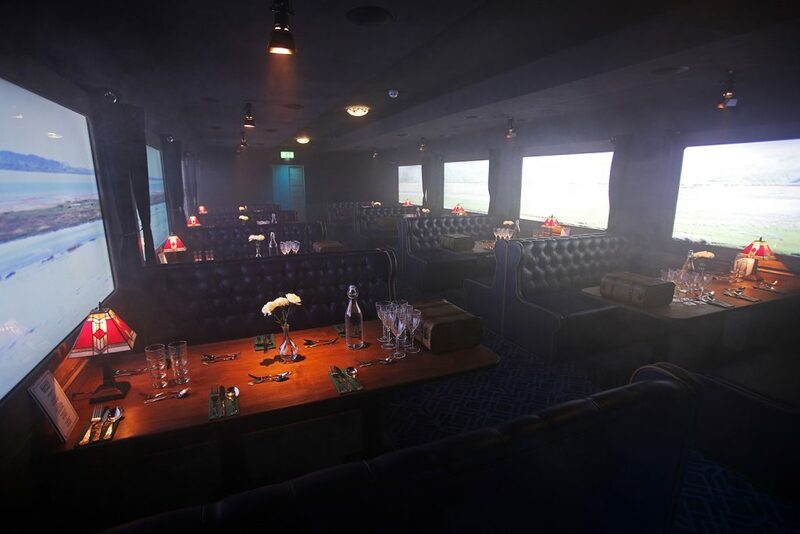 The doors of the Grade 1 listed House Mill ‘Home of London Gin’ will open to visitors, who will start their evening with a gin tasting in the mill itself, followed by a delicious Christmas themed dinner in the adjoining Miller’s House. After the meal, there will be a special cabaret show from Soho’s Sheila Simmonds, followed by a wild disco full of festive hits. Prepare yourself for Christmas with this three in one festive warm-up and celebrate in style. Tickets start at £46+VAT (£55.20), and site charges, per person for early bird bookings. You can book yours at the official site. 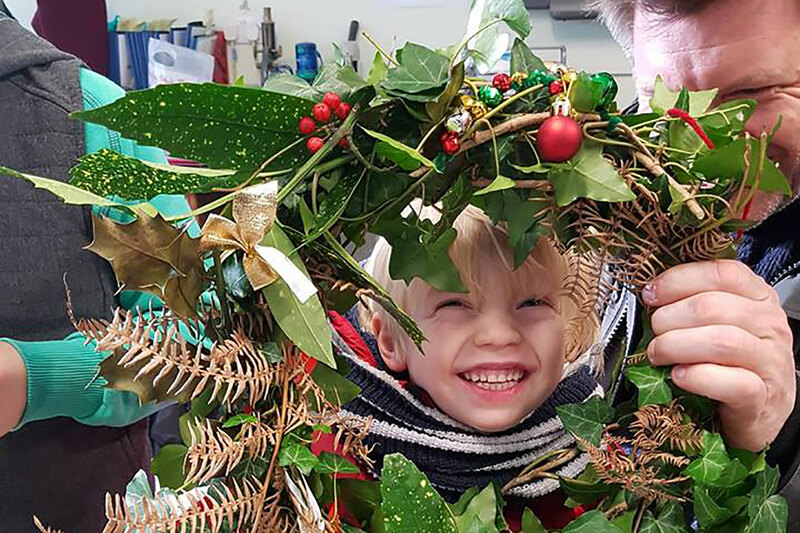 The free monthly Bow Beasties Wildlife Club for kids is hosting a Christmas special workshop at the Tower Hamlets Cemetery Park. Children will be able to make beautiful wreaths and Christmas tree ornaments and decorations and take them hope afterwards. Materials are provided but you’re encouraged to bring any extras. This event is for families only. Make a winter survival kit with herbs and natural ingredients that will keep you cosy and healthy during the cold months. 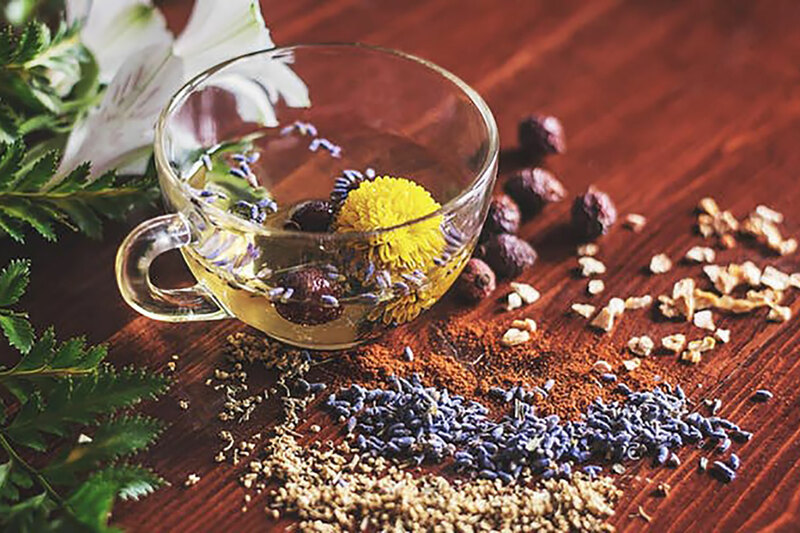 In this workshop you’ll learn about the restorative and relaxing properties of herbs and essential oils, making your own nature-inspired wellness kit. The selection of handmade products includes herbal bath-bags, an all-natural sleep pillow and a soothing scented candle, all for you to take home at the end of the session. All the materials are provided and you don’t need no experience either. Make sure to book in advance to secure your place. Prices start at £32 per adult. 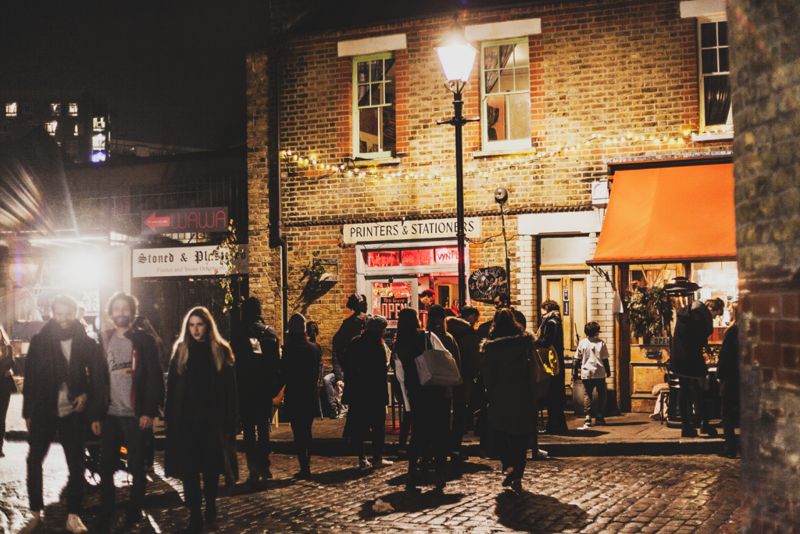 We’ve also put together a list of the best East End’s markets to make shopping and getting into the festive atmosphere even more easier for you.